The Safari Dreams Collection from kathy ireland Home® merges the beautiful colors and abstracts of a chic contemporary rug with the textures and details of a distressed heirloom. 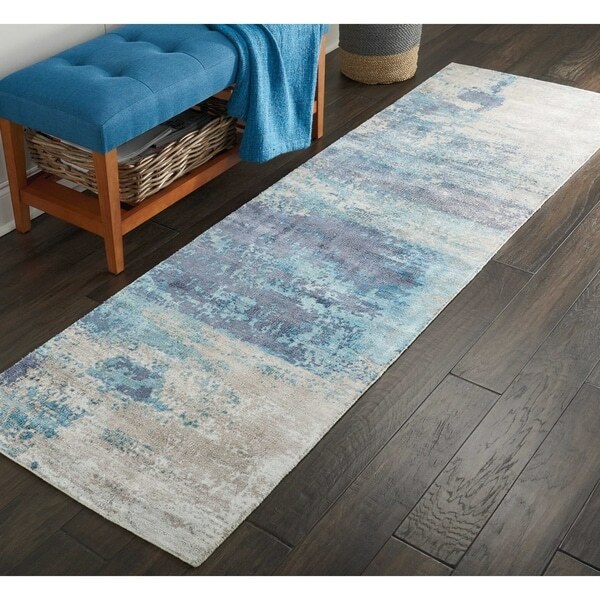 Silky textures from the rug's tip-sheared pile and intricate use of hues and brush stroke effects give each rug the look of a unique collector's piece that infuses each room with an easy sophistication and sleek, modern flair. Cool abrash blues are overdyed and displayed on a distressed grey field in this Safari Dreams Collection rug from kathy ireland Home®, creating an unmistakable statement of style. The sleek low pile and simulated brush strokes create a modern accent that sets a contemporary tone in any room in your home.